Gale Edwards, cradling her beloved pooch Tosca on her lap, fixes a gimlet eye on a quartet of young singers. They stand in front of her, shifting uneasily like schoolgirls at a recital as she takes them through their parts as perky, dimwitted telephone switch girls in a 1950s department store. “Over-articulate the ‘p’, please — ‘hello, can I help you?’ ” she calls out. They try, singing in unison. All but one stumbles. Edwards immediately zooms in, a pin to a butterfly. “Try that again.” The young ­singer does. It’s not good enough, if Edwards’s pursed lips are any guide. “Again.” It will feel strange at first but do try, she implores the group. In this big rehearsal space in the Adelaide suburb of Netley, Edwards’s directorial eye is all-seeing. 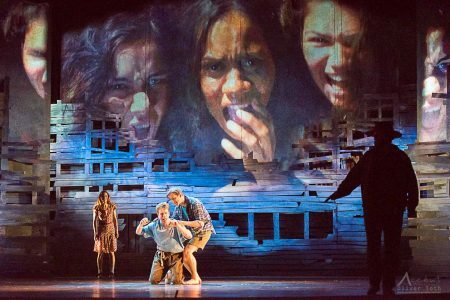 Eighteen performers have gathered here for the first week of rehearsals for the State Opera of South Australia’s new million-dollar opera Cloudstreet, based on the bestselling 1991 novel by Australian author Tim Winton. We’re in the middle of scene 38 on day five of a 23-day rehearsal period, and the air is jangly with nerves as the cast navigates the continually evolving 60-scene libretto by Sydney composer and opera newbie George Palmer. An invisible clock ticks loudly. Opening night for the country’s biggest new opera is a mere three weeks away. For Edwards, this project — cumbersome, risky, sprawling, “hugely time-consuming” and involving five years of largely unpaid effort around her kitchen table, crowd-funding drives, deep generosity from peers in the arts and law, and three two-week workshops — has been perhaps one of the most satisfying of her professional life, matched only by the four-year gestation of The Boy From Oz, for which she was the original director. 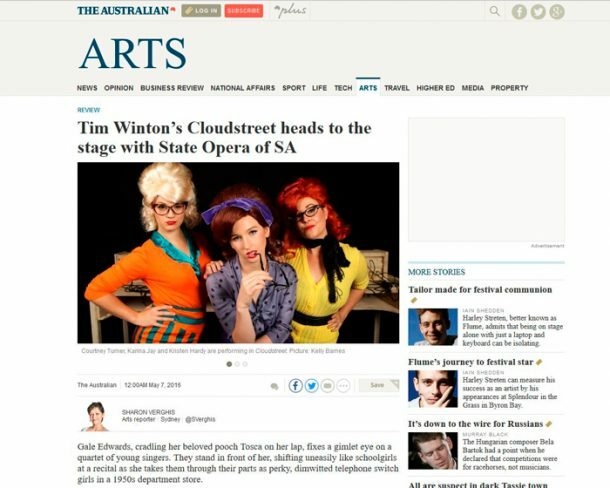 A new Australian opera is a singular beast ­indeed and there’s plenty of industry interest in how Cloudstreet will fare, particularly given the lukewarm commercial returns for such works; witness the disappointing box office for Opera Australia’s $2 million Bliss, based on Peter Carey’s novel, in 2010, that has left the country’s opera flagship gun-shy, some critics claim, about pricey new full-length operas. Celebrating its 25th anniversary this year, Winton’s fat, sprawling tale of the lives and fortunes of the Pickles and Lamb families in working-class Perth across a 20-year period is a modern Australian classic, having lent itself to a radio drama series, a celebrated play — Belvoir St Theatre’s epic production directed by Neil Armfield — and a television miniseries. But will it work as an opera? To Palmer, a genial, energetic 60-something who nurtured a career composing contemporary instrumental and vocal music alongside a career as a Queen’s Counsel and NSW Supreme Court judge, it’s a no-brainer. Speaking to Review a day earlier in his home in Sydney’s leafy Paddington, he says Winton’s fifth novel ticked all the boxes: from being “quintessentially Australian, and it was impor­tant to me that we have voices in opera that are Australian”, to its focus on identity, indigenous suffering and displacement. He also highlights the book’s status as a cultural icon (it has sold more than 500,000 copies), which would help breach continuing audience resistance to new operas (Winton says he is happy for Palmer to use his novel to do “the heavy lifting”), and its narrative richness and mythological scale. For Winton, however, the idea took some getting used to. Speaking to Review from Perth, he initially was bemused by the idea, he says, ­because “opera is so far from my background that it’s pretty foreign territory, really”. The salty, demotic language of the book — think “ning-nong” and “dill” — being warbled in high Gs? He wasn’t quite sure, he says. The pair started working around her kitchen table on his “very rough” act one draft. It was immediately clear, she says, that Palmer, who had been composing since he was a teenager but who had never written an opera, needed dramaturgical guidance. A lot of tough decisions needed to be made, she says, as the embryonic first act was wrestled into life, ­including which characters to underpin the central spine of the tale. Palmer then decided to record a few arias for a demo to send to Winton’s agent. 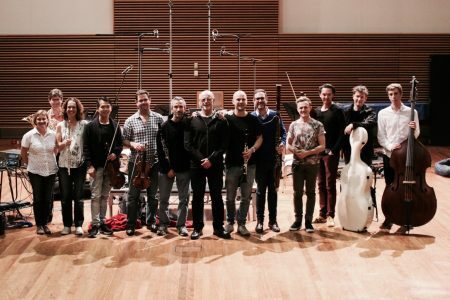 He recruited some heavy-hitting musical mates, opera ­singers Cheryl Barker and Peter Coleman-Wright (“they were so wonderfully generous”), and off they trotted to a recording studio in Sydney’s Petersham. The enterprising Palmer’s next step was to have an industry workshop, which he recorded as a DVD, in 2012. Costing $60,000, it was half-funded through crowd-funding vehicle Pozible, with the rest coming from his generous lawyer mates. Did his opera buddies chip in anything? He grins. “No, they’re all poor as church mice. The law has the money.” He put in a small amount of his own money “to make up the difference but I took the view from the ­beginning that if I fund it all myself, it will be too easily and correctly branded a rich person’s folly”. The workshop, however, sparked little interest. Opera Australia was invited but no representatives came. Palmer says he understands why: after Bliss disappointed at the box office, he thinks OA director Lyndon Terracini has been a little wary of pricey new operas. (Last year Terracini said “the days of us spending $2 million on any production are long gone”, adding that Opera Australia audiences “haven’t liked a number of contemporary operas”, making it “difficult to convince them to return”.) Palmer says that while he can understand Terracini’s concerns “looking at the box office, I am intending this not to be a financial disaster”. From 2013, Sexton would fly over to Sydney from Adelaide for meetings around Edwards’s kitchen table with Palmer, the trio pain­stakingly finessing the libretto, filling holes, adding and cutting music, and tweaking lines. A year later, Sexton held a workshop for act two at State Opera and, about this time, committed to taking on the work. Asked about the cost of the production, he will say only “a million dollars plus”. It’s a big bite out of the budget, with the financial risk amplified by the fact they’re not doing it in partnership with another company, eschewing the funding model represented by works such as the new opera The Rabbits, which came out of a five-way partnership arrangement. State Opera also is taking this on when Australian arts is neck-deep in a funding crisis. Then there’s the lukewarm commercial track record for new operas: since 1973, the Australia Council had commissioned more than 160 operas or musical theatre pieces but none had entered the repertoire, Terracini said last year. Is Sexton the bravest man in Australian arts? Sexton is keenly aware of the many challenges; he cites everything from media bias against new operas to a cultural climate in Australia that “does not allow for people to fail spectacularly”. But also it’s about getting people to be braver about new opera, he says. Palmer says bluntly that audiences shouldn’t be blamed for staying away; composers simply need to ­create more accessible, commercially friendly work.